Fishers Pediatric Dentistry is the 20-year-old brain child of Dr. Ana Vazquez, Founder & CEO. She is proud to share the practice with Dr. Misti Pratt, who recently became part-owner. The two doctors found their professional other-half in one another, sharing both their overall passion for life and their love of working with children. They share a common goal—to create a unique and enjoyable experience for each patient and parent who visits our “island”. 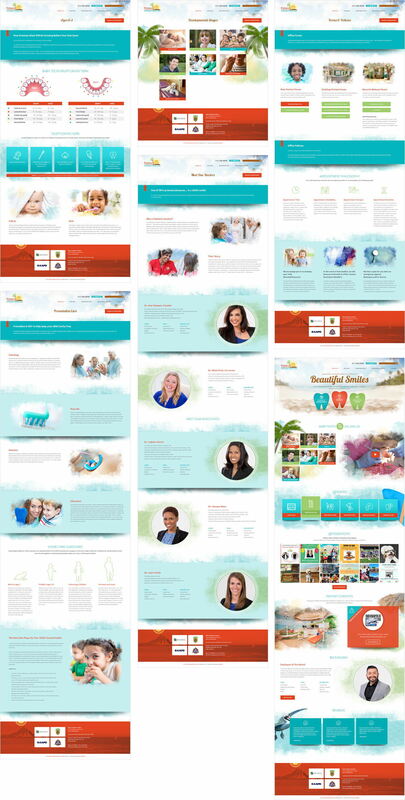 The team at Mojo had a blast designing and developing this fun, creative website for Fishers Pediatric Dentistry! Visit the Fishers Pediatric Dentistry website for yourself at fisherspediatric.com.